We know one thing for sure -- three quarters of digital natives want a truly personalized web experience. But most marketers aren't actually personalizing their website and messaging content. Why? Because it's hard. And expensive. And messy. And where do you even start with all the data points? Machine learning is the key. And simplicity is the exception rather than the rule -- it has to be easy to use or forget it. It's time to stop talking about personalization and start actually using it or risk losing out on the the 80% of consumers who felt that brands were not familiar or only somewhat familiar with their needs. We're going to sit down with the CEO from the popular clothing retailer WildFang. 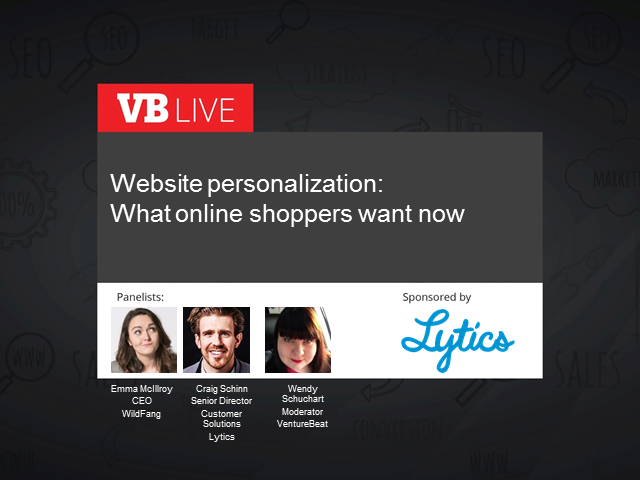 She will reveal how it increased revenue by personalizing its e-commerce site to target small groups of visitors based on their behaviors (across many channels) and affinities. CEO Emma McIllroy will be joined by Craig Schinn, former digital-marketing leader for an outdoor-clothing e-commerce site, who can speak to the thought leadership for marketing professionals in real-time marketing personalization strategy as well as WildFang's case study in particular as it unleashed the power of machine learning-based website personalization..
* Use behavior-based audience segments to better target visitors. * Target customers who are most likely to buy or most likely to churn using data science and advanced machine learning algorithms.